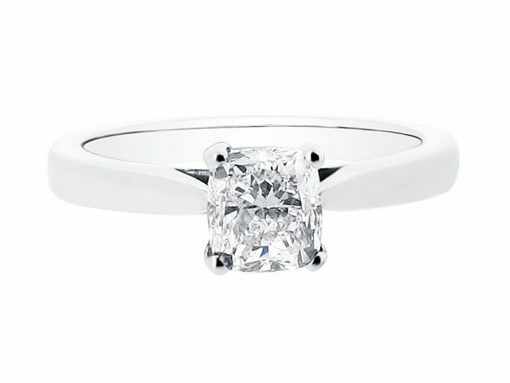 This is a stunning example of a cushion cut diamond in a four claw setting with a tapered band. 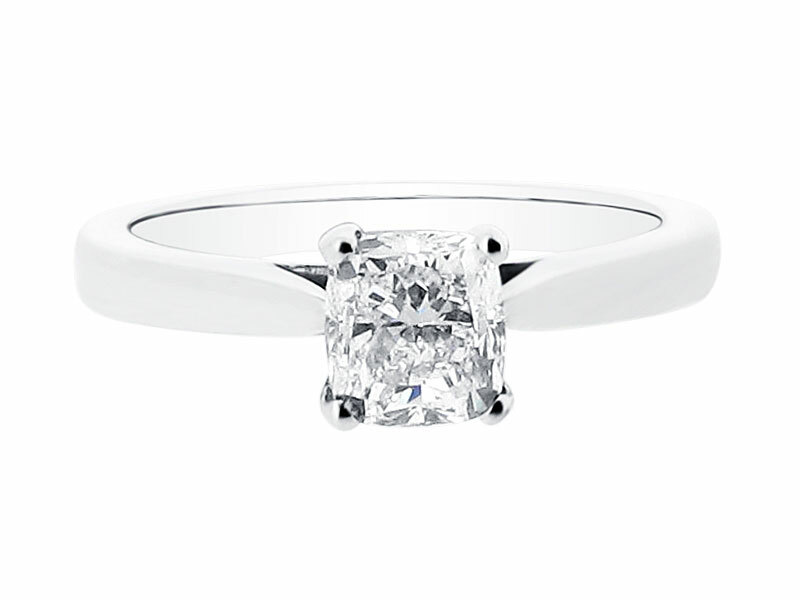 Cushion cuts were developed in the nineteenth century, originally called mine cuts. They were cut to mimic romantic candle light and offered a shape very similar to the round but slightly squared off. You can opt for a square cushion or an elongated rectangular cushion. This ring can be set into 18k yellow, rose, and white gold, and platinum. 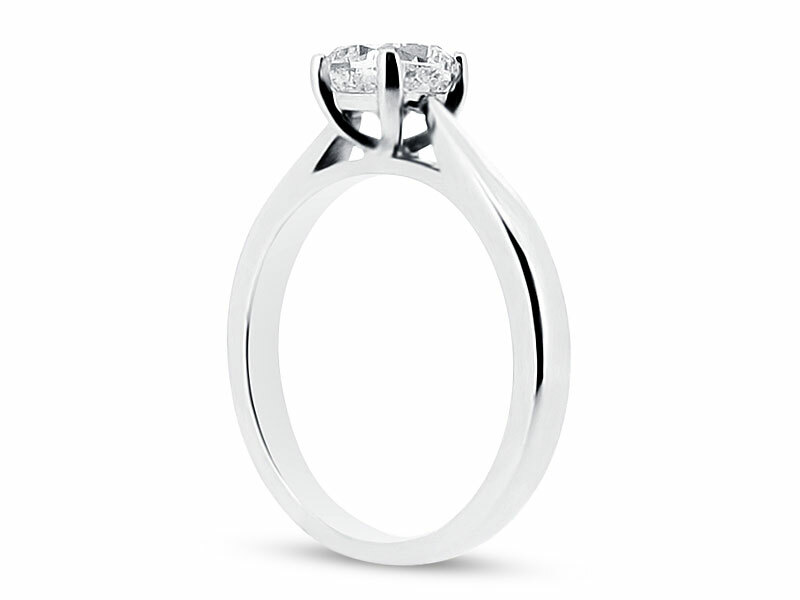 Voltaire Diamonds have a wide selection of diamonds available with diamond grading reports from GIA, IGI, and HRD.